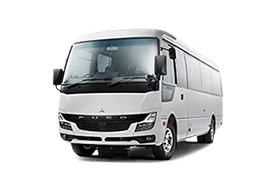 Fuso Financial is the dedicated finance and insurance provider for Fuso trucks and buses*. 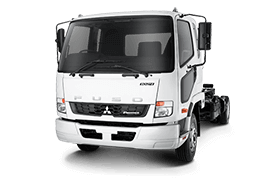 Backed by our industry knowledge and experience, our products are specifically designed with Fuso owners in mind. So whether you have a single vehicle or an entire fleet, we can tailor a plan to suit your business needs. Our streamlined credit process makes getting in your truck and getting on the road quick and easy. If you are a property owner, have been self-employed for over 3 years within the same industry and have a clear credit history, you could gain instant approval for up to $250,000 with Fast Track Finance#. 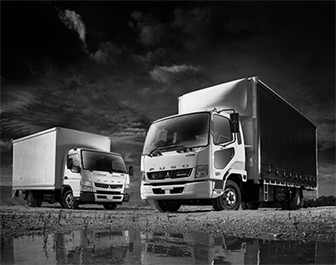 If you’re thinking about buying a new Fuso truck or bus, you can get Guaranteed Buy Back with Fuso Agility^. Tailored to your business, you’ll have confidence and peace of mind knowing the minimum value of your vehicle when the finance contract runs its full term. You also have three options when your agreement ends, designed to give you and your business complete flexibility and control. 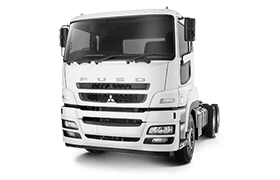 TRADE: Be protected from negative equity and use positive equity towards your new Fuso vehicle purchase. RETAIN: Keep your vehicle by simply paying out or refinancing the Guaranteed Buy Back amount. RETURN: Hand back the keys and walk away once excess kilometre and wear and use obligations are paid. Providing you with flexible options, an Asset Hire finance agreement can be structured with or without a deposit. Payments can be tailored to suit individual needs by opting for a longer term or incorporating a final balloon payment. Once the finance agreement has come to an end and the final payment has been made, ownership of the vehicle will transfer to you. An Asset Loan, commonly referred to as a Chattel Mortgage, is suitable when upfront ownership of the vehicle is important. This finance product provides ownership at the start of the finance agreement in exchange for security taken over the vehicle. Upon completion of the finance agreement and following final payment, security over the vehicle is released. A finance lease is a rental agreement offering fixed payments with the addition of a residual value payable at the expiry of the finance contract. A finance lease offers immediate use of the vehicle without a substantial outlay. At the end of the finance contract you can make an offer to purchase, re-lease, or upgrade to a brand new vehicle – the choice is yours. With an operating lease, your vehicle is leased to you for an agreed period. Your monthly payments are calculated based on the total kilometres you wish to cover and the length of your lease agreement. You can also add a Service Plan. With low initial outlay, maintenance cover and control over the vehicle at the end of the agreement, it provides a low risk solution to running your vehicle. * Finance and Insurance available to approved business customers of Mercedes-Benz Financial Services Australia Pty Ltd (MBFS) ABN 73 074 134 517 AFSL 247271. Standard credit assessment, lending criteria and fees apply. # Fast Track finance approval is subject to 60 month maximum term, 30% maximum balloon payment. 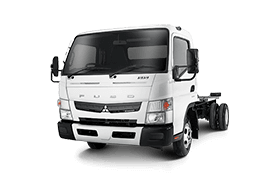 Available on new Fuso products only. $250,000 Fast Track approval limit is including, and not in addition to any pre-existing financial exposure. Standard credit assessment, lending criteria and fees apply. ^ Guaranteed Buy Back is subject to Excess Kilometre charges. Fair Wear and Use return conditions apply. Retain feature may be subject to standard credit assessment and lending criteria if you choose to refinance the Guaranteed Buy Back at the end of the Agility term.